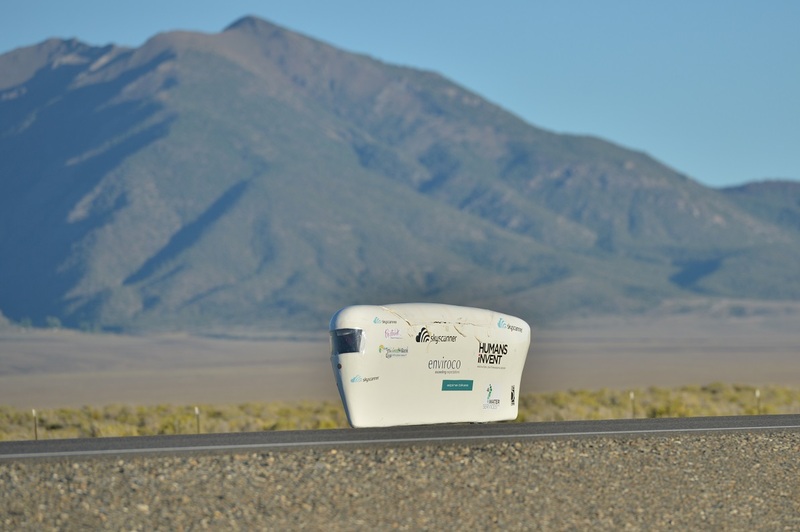 Graeme Obree has made some tweaks to his human powered vehicle, known as The Beastie, ahead of his attempt on the HPV world speed record in the USA. 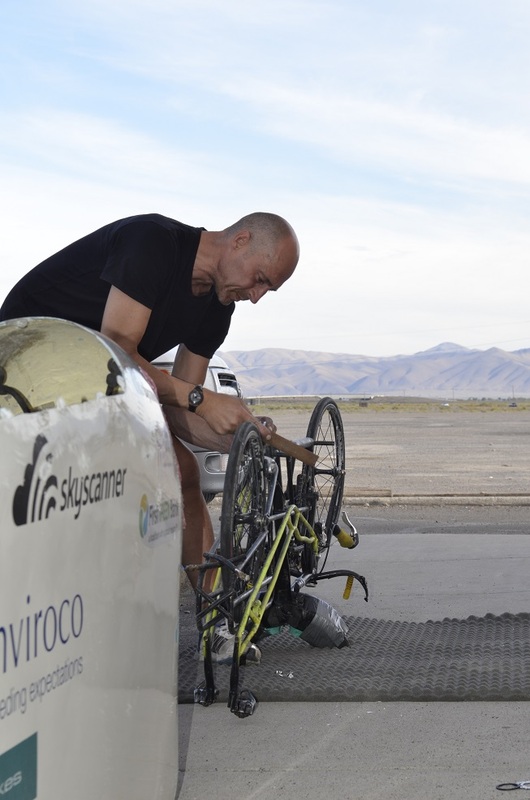 The Scottish former world champion and hour record holder made the decision to alter the gearing on The Beastie ahead of today’s riding session at Battle Mountain, Nevada. Obree stripped the shell from The Beastie to change the primary drive sprocket from a 17-tooth to 12-tooth. This increases the gear to approximately 290 inches, the same as for his initial runway tests. 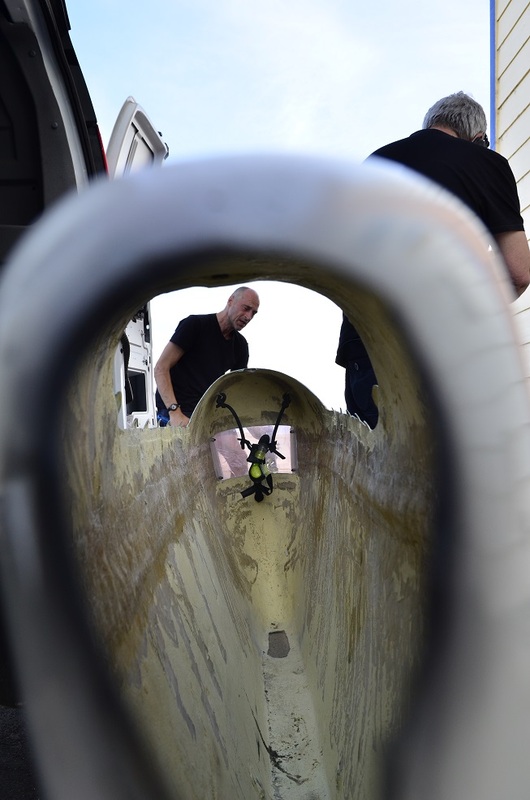 Obree has also added 300-grammes worth of balancing weights to the wheels to aid The Beastie’s stability at speed after it lost its line during Monday’s initial session.